Higher nurse workloads due to inadequate staffing have a direct impact on patient outcomes after surgery, a new study has found. 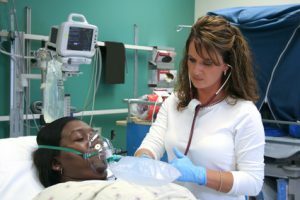 The large-scale study from the University of Pennsylvania School of Nursing showed that higher nurse workloads negatively impacted all patients, but interestingly, older black patients were three times more likely than older white patients to suffer poorer outcomes after surgery, including death. Over a 5:1 patient-to-nurse ration, the odds of patient death increased by 3 percent per additional patient among whites, and by 10 percent per additional patient among blacks. The study looked at over 500,000 patients aged 65 and older who underwent general, orthopedic, or vascular surgery in several hundred hospitals that were located New Jersey, Pennsylvania, Florida, and California. The hospitals included in the study are some of the largest of the country and together they account for more than one-fifth of all American hospitalizations. In the study, 94 percent of patients were white and 6 percent were black. Data were comprised from nearly 30,000 hospital staff nurses working directly in patient care. The study assessed mortality and failure to rescue, which was defined as death after the development of a complication in the hospital after surgery. The correlation between nurse staffing and patient outcomes in the U.S. and around the world has been long established, largely by the pioneering work of study co-author Linda H. Aiken, PhD, RN, who directs the Penn Nursing Center for Health Outcomes and Policy Research. And, while racial disparities are widely documented in the health sciences literature, how the quality of nursing care may affect minority patient outcomes is a new area of research. In this study, the data suggest that the probability of death for black patients is equal to that of white patients when the patient-to-nurse ratio is low to average (considered up to 5:1). The finding that the odds of death for older black patients were greater in hospitals where nurses had heavier workloads has particular implications for the delivery of care and signals an important focus of future research and intervention, Dr. Carthon wrote.